Though it’s probably more applicable to DIY auto repairers than collision repair professionals, auto body shop owners might want to take a look at a Feb. 10 WUSA report on counterfeit auto body parts — some of which are very dangerous. “Even some mechanics would not be able to tell a legitimate one from a counterfeit one,” National Intellectual Property Rights Coordinator Center Director Bruce Foucart told the station. The WUSA report appears to apply to imposter parts pretending to be actual OEM ones (a fake Rolex, for example, billing itself as a real one) — not aftermarket ones. Some of the counterfeits are safety-related — perhaps the worst offender being air bags, Foucart told WUSA. Collision repairers should take the time to take a second look at the parts they’ve received — particularly when customers bring them in. According to WUSA, most of the counterfeits are sold online. 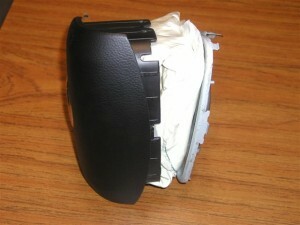 Report fake parts or suspicious parts: www.iprcenter.gov or 1-866-DHS-2ICE.